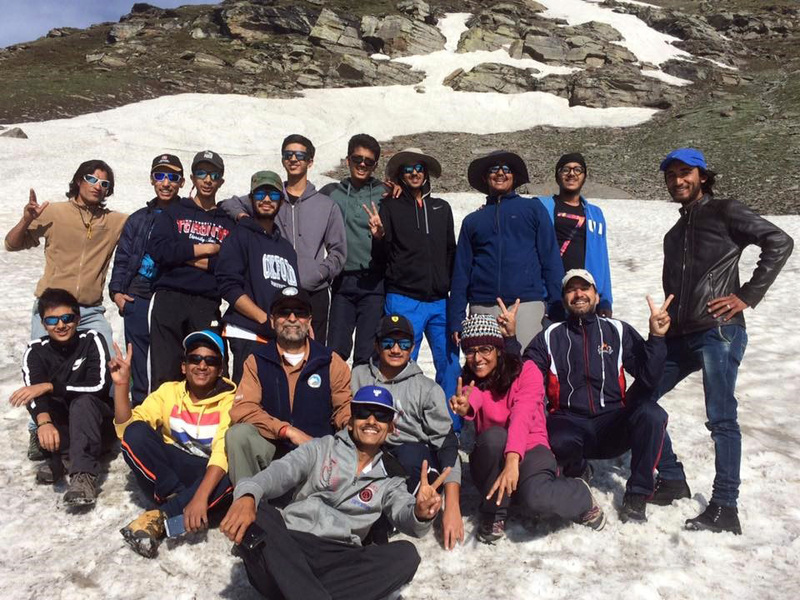 Aditya Agarwal, Govind Swarup kela ,Aditya Vikram Banka, Piyush Baghel, Jatin Rai, Khubaib Alam, Lakshay Garg, Sarthak Arora,Ayush Arora, Charchit Raj Singh, Satyam Mallik , Shivam Mittal escorted by a teacher went for Spiti Project to Leh. They were there from 10th June- 26th June 2016. The Project involved construction of a Green House in a Village in Pongu (Spiti). At Kaza (Administrative capital of Spiti they were briefed by coordinator of Ecosphere (Ms. Ishita Khanna) regarding their task in hand. after they had set their tents in the village they were introduced to their host, Rintoh for whom they were supposed to build the Green House. From 17th to 21st June they went for trekking to different villages to get an insight of the culture of the people and explore the interiors of Spiti. We were accommodated in homestays which gave them an insight into the social and cultural life of local residents. The entire project was adventurous as well as satisfying for everyone. It was a challenging yet an interesting learning endeavour!! !